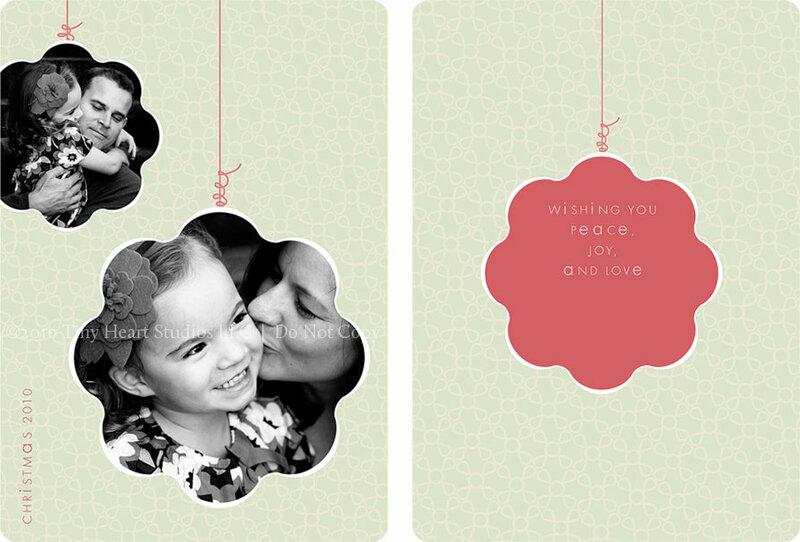 I am very excited to share some unique and special holiday cards for this year. I have several designs, all customizeable with colors and text. 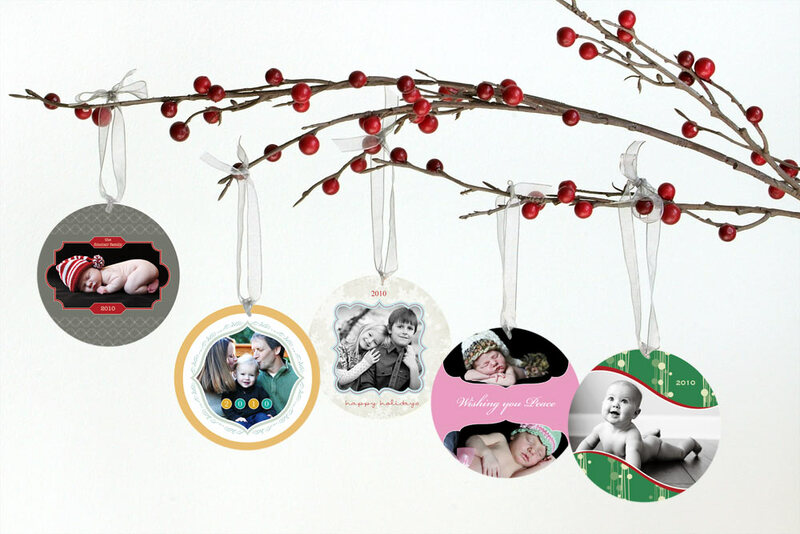 These are the round ornament cards – 5×5 in size and they can be ordered with pre-drilled holes so you can string a ribbon through and WAH-LAH – an ornament for the tree! To further customize them, we can add a scallop border. 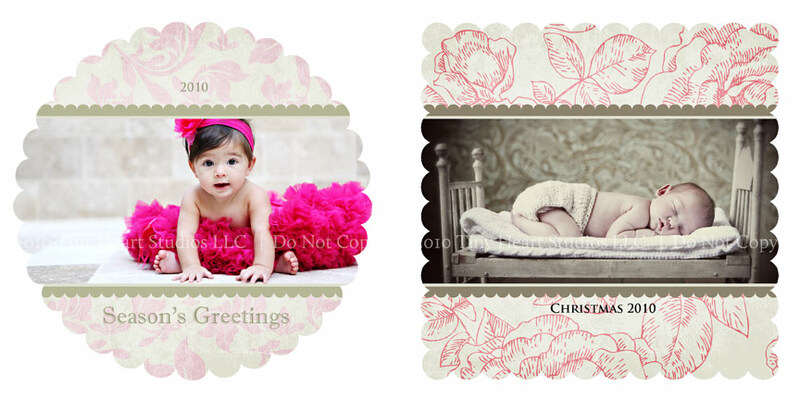 These are also beautiful as a simple flat or two-sided 5×5 card as well. 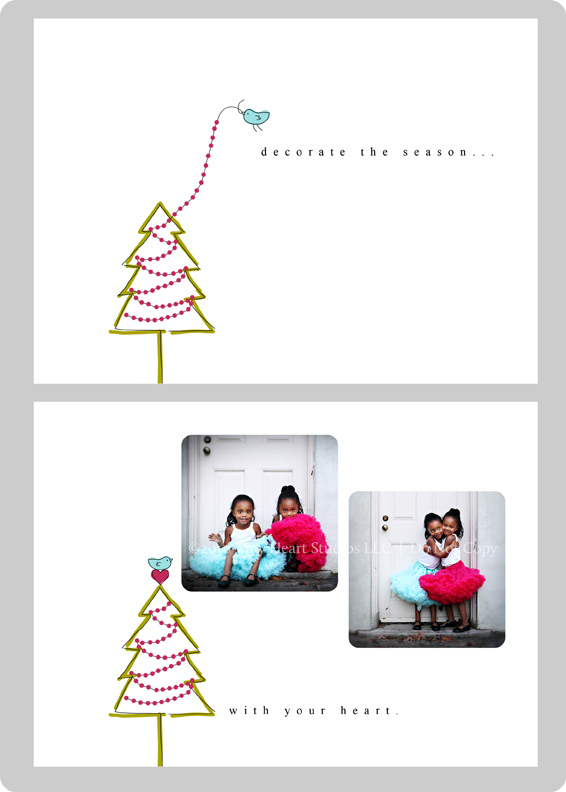 And a couple more 5×7 holiday card designs….. NOTE: The holiday session deadline is fast approaching (November 7th) and all orders must be placed by November 13th to guarantee holiday delivery!